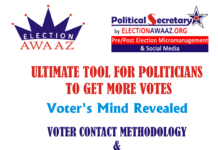 Voter’s Mind Revealed | Election Awaaz- India's No. 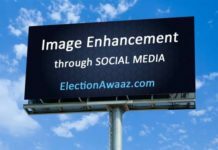 1 Largest Election Technology Services Providing Co.
We are effectively into Electioneering Services and our techies provide you with the exact data, complete abstract and technologies to analyze your aim. 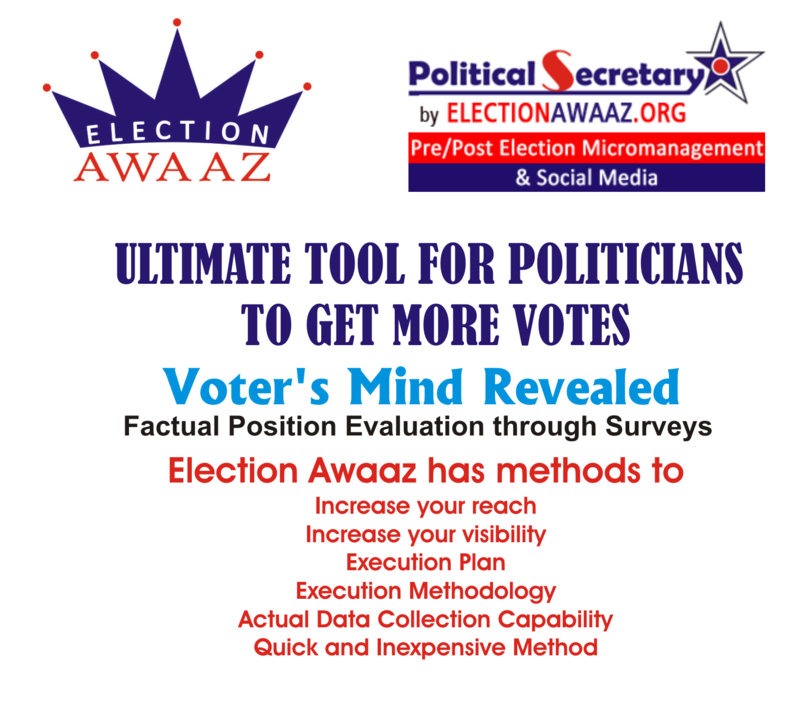 Electors mind is dynamic on leaders and organization, based on current social, political, ground level situations. 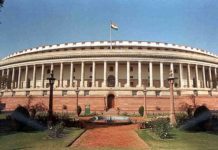 Why is Survey required for a Politician / Political Party? To channelize your game plan, make strategies, connecting Better and Increase Reach to peoples heart and have an enhanced-edge. 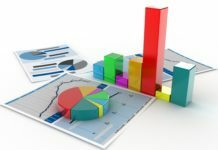 We do the differential analysis between the today’s strengths and weakness of the leaders or political organization and past election mandates, according to topography and demographics, which assist leader to realize, if he/she have switched to a right or a wrong phase. 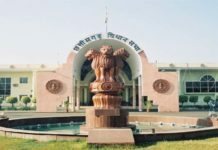 You can get the electors opinions on the present and past governments, present ministers (M.P / M.L.A), which assist you to channelize for an election. 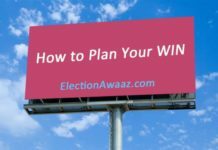 You can understand the elector’s issue so that you can plan how to eradicate their issues or give solutions to solve, which gets you voter’s trust. You get the voter analysis based on age criteria, religion, gender, and area, you can organize in an efficient way to reach the groups. Geographical Study very essential for Micromanagement. Instead of planning for the entire constituency, strategize your ideas, village wise. Analyze the places where you need to improve more and what chances you have for that. 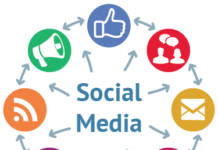 It enables to identify influence local leaders, groups in each area wise. The first-of-its-kind Election Analysis System, dependable method for Politicians, Political Parties and Media. 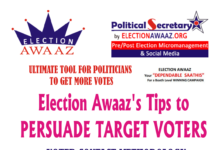 Election Awaaz provides you with different software and IT solutions, to manage your PW, Constituency and the Problems faced by the public. 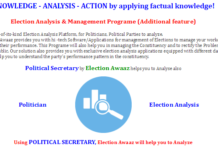 It provides you with exclusive election analysis tools equipped with different data sets, which help you to understand the parties performance pattern. Polling Contours based on Demographical Segmentation, Geographic and Cast Segmentation. 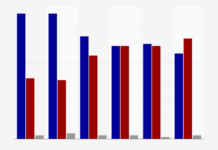 Polling Percentage Vs Booth wise Party Performances. 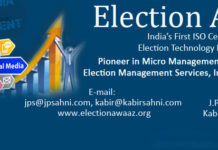 All local body elections information. 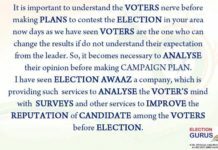 The previous Election results of 2 Election Vs present Election survey results to know the voter’s mind swinging direction. 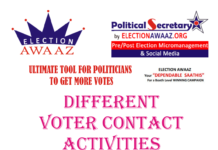 Complete elections compendium, geographical, demographical, delimitation analysis which is integrated together where you can get any information in a single click (Ex: How many booths in each Talukas, what is party performance in any village or ward or booth etc). Visualize the areas where you have less presence where you are strong and where you need to concentrate more. Party voting percentages versus literates or illiterates percentages etc. 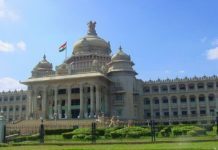 Get all independent candidates information that got more votes in municipal or MPTC or ZPTC elections. This helps the Party Worker know their ‘Action’ & ‘Information’ items, and also offers a complete control over the status of activities within their umbrella of Controls. Complete cross voting information up to village level. PW Management allows you to manage your cadre efficiently and improve your connectivity and reach with them. You can address the all PW at once, about your meetings, events or Party updates, letters through SMS or email. 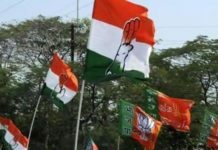 You can assist Party-Workers (PW) and assign them to certain Booths, Wards or some core-groups defined at constituency level. 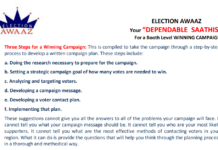 You can plan cadre booth wise, for election planning. 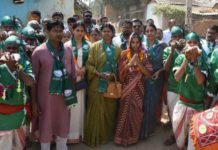 This would ensure ‘Local’ people accompanying the Candidate instead of unknown faces brought by the Candidate..
Constituency Management feature helps you. 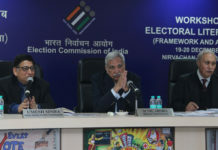 Candidates can maintain their Activity Tracker and records of their visits and favors offered to different voters, booths and areas, which can be looked back and referred while visiting them at a later point in time. This is a quick-fix formula for a gaining a quick-acceptance…! 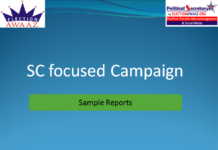 The Dashboard would offer a Booth-Level as well as whole Constituency-Level overview of Information and Action-Items. 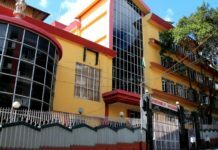 Voters can be searched and localized instantly using a Google-map based sophisticated query system, without going back to the age-old approach of searching them in thick Booklets of Printouts. Register Problems in your constituency. Keep the record of all Issue and complaints Party worker wise and booth wise. Any time visibility of task assigned status whether completed or not. Thus, it helps you in channelizing these complaints to the govt. officials, effectively. Candidate can press a button to message (SMS) his party-workers / volunteers / identified-voters, around that place on the Map (we know everyone on the Map). Solved problems you can publish in your profile. Tools to communicate your updates. This increases repo in these influential people and groups. ‘Local’ faces supporting the Candidate would encourage other Locals to join the support-base for even an unknown Candidate…! This would ensure ‘Local’ people accompanying the Candidate instead of unknown faces brought by the Candidate. You can upload news articles from different news magazines to your profile. You can maintain photo and video galleries of your activities and events in your profile. You can compare your stand and opposition party’s stand in different areas. Thus, it supports you in deciding the next plan of action. Cadre Management allows you to add and manage your cadre effectively. All the communication with your cadre is made easy with this feature. You can notify the entire cadre at once, about your visit to specific areas and achievements, through SMS or email. You can assign some of the local problems to the cadre. You can analyze the cadre strength in different areas. Tracking influential people groups information each ward wise. 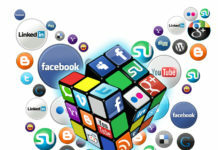 It enables you to share your party views and publish your party profile to everyone. You can upload news articles from different news magazines to your party profile. 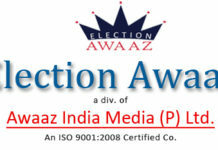 You can maintain photo and video galleries of your party activities and events in party profile. 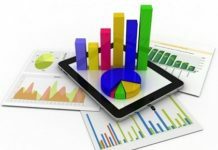 Polling Patterns based on Geographical segmentation, Demographic segmentation and Parties. 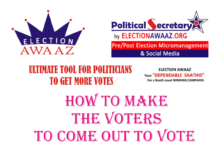 Differentiation of election result against the demographic data to get a clear picture of the voting patterns of people based on age group, education, religion, profession, status etc. 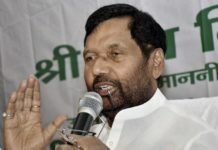 Easy understanding of party performance in a particular state, PC, AC or further at mandal/ward/talukas/tehsil/panchayat/village level. Comparison of a political party’s performance past elections.